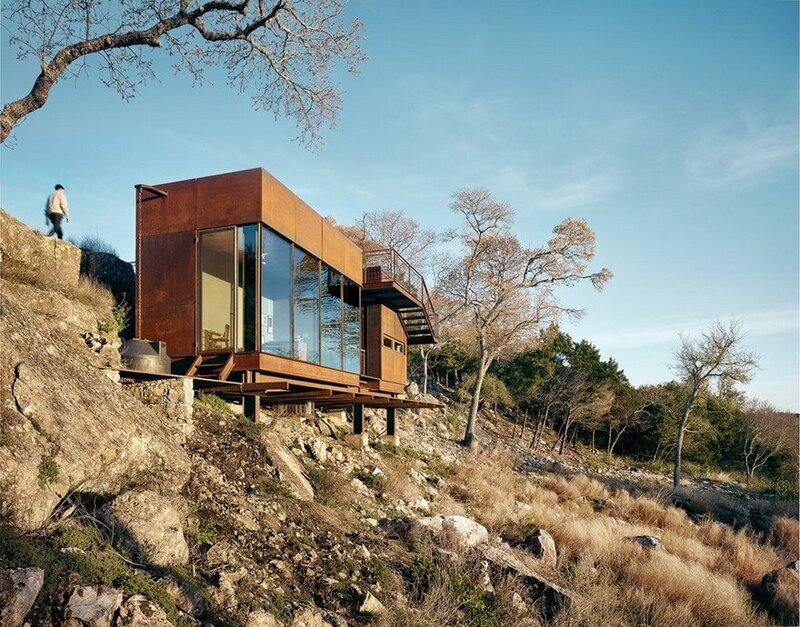 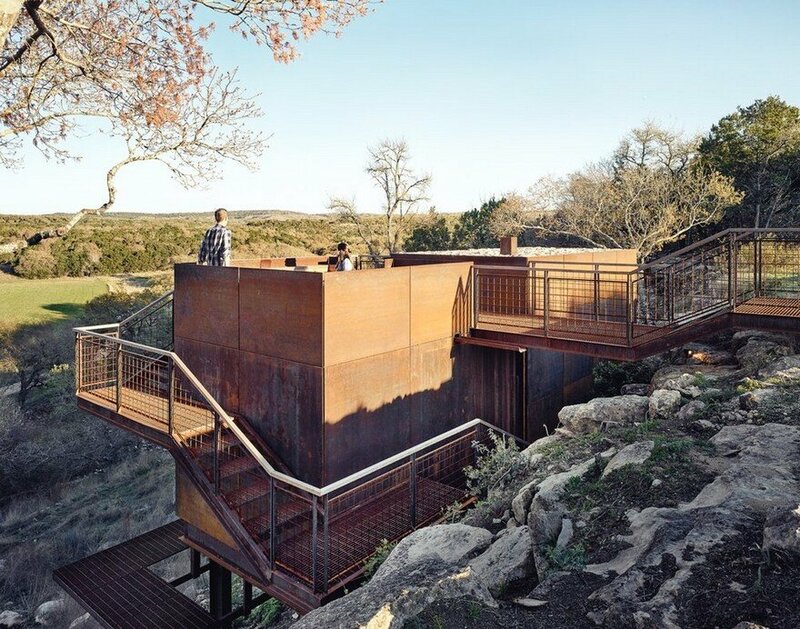 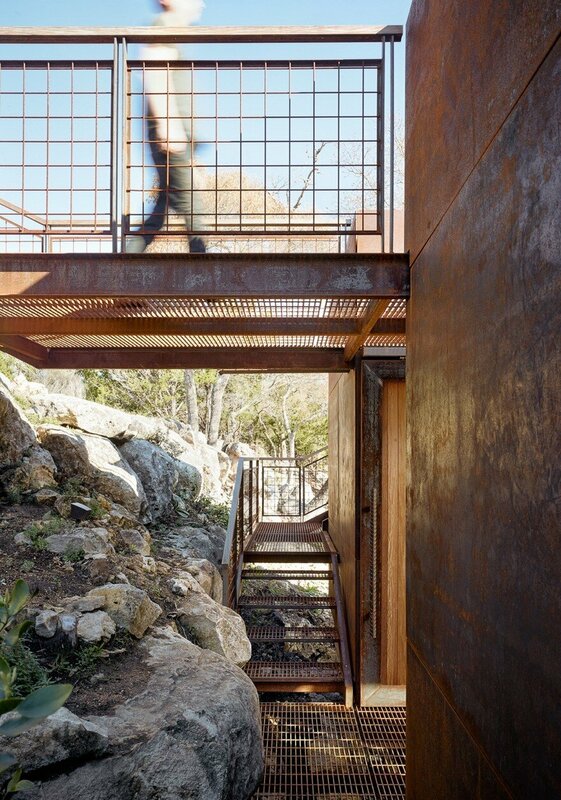 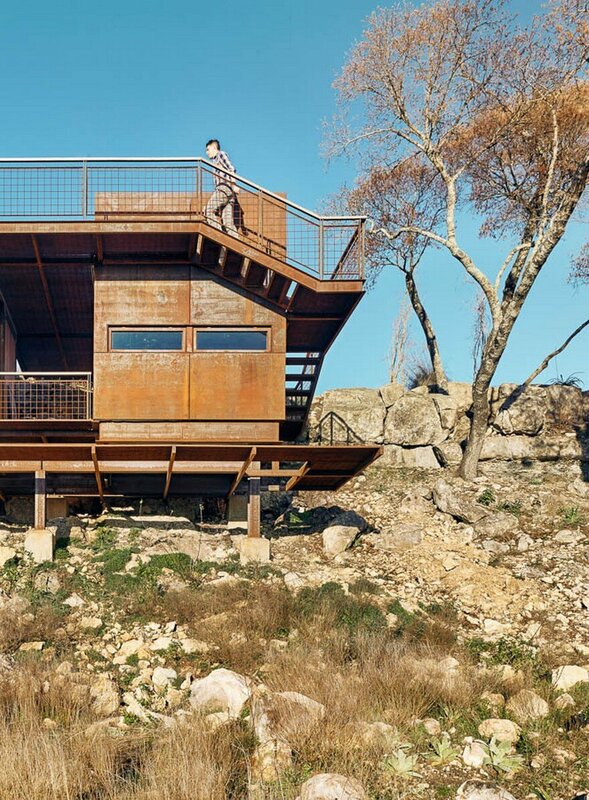 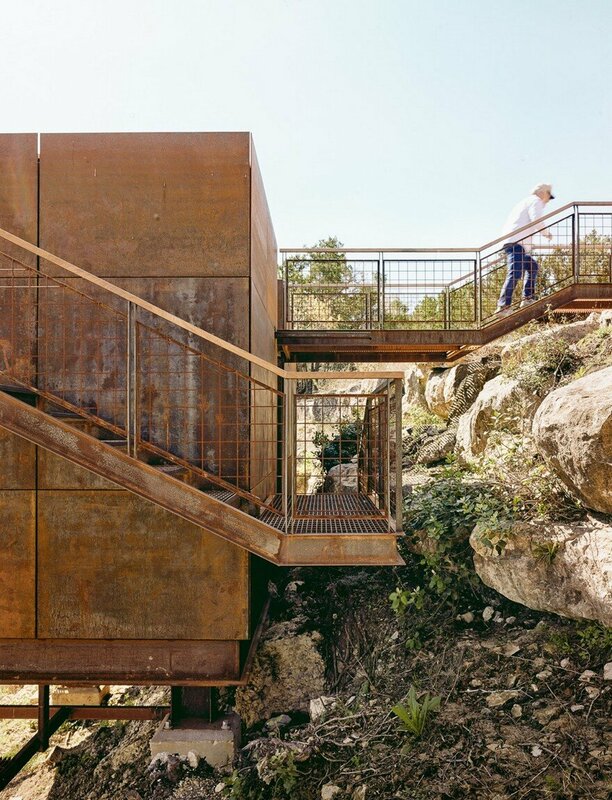 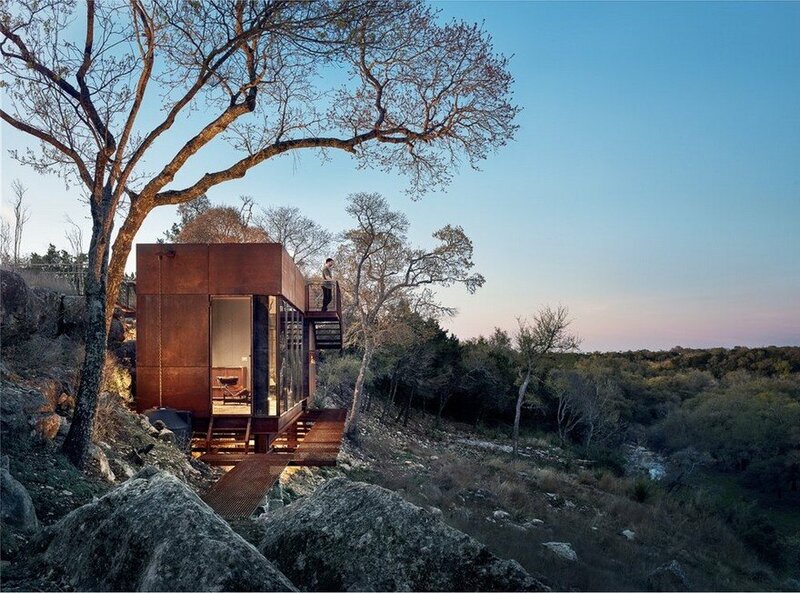 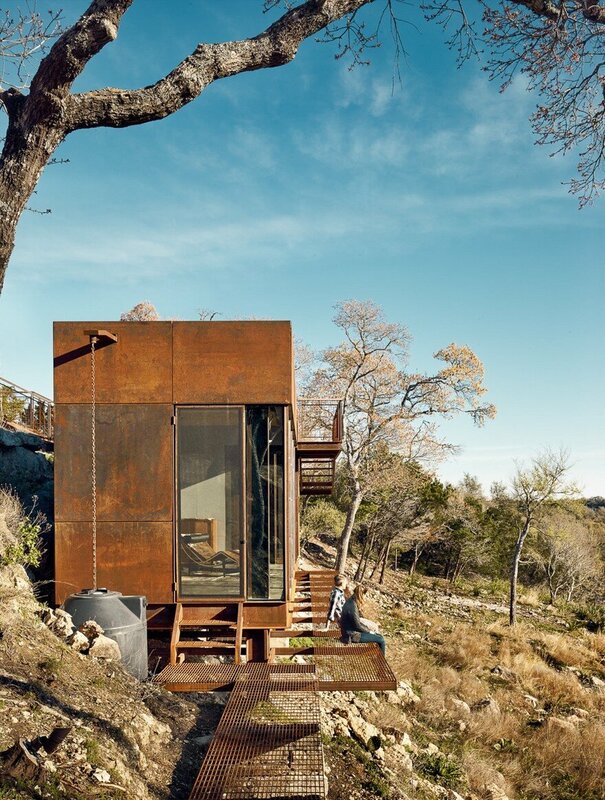 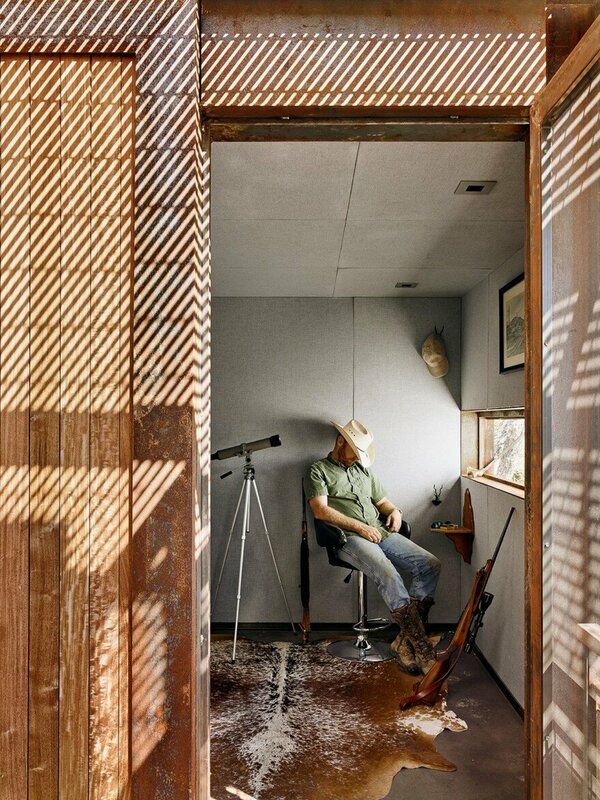 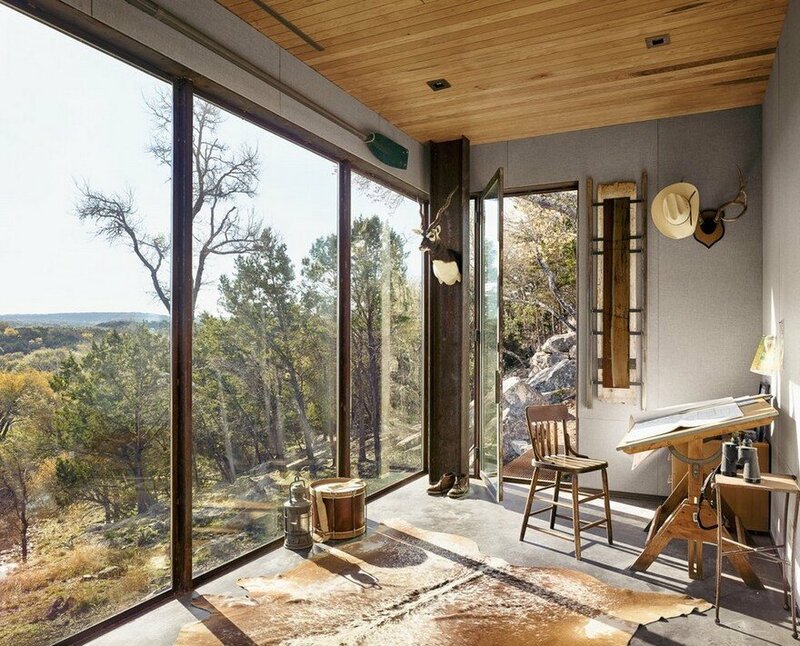 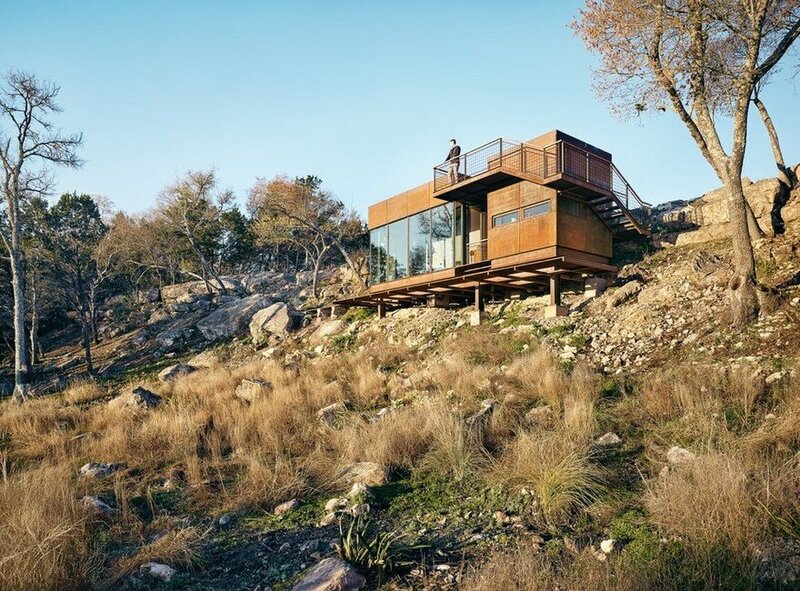 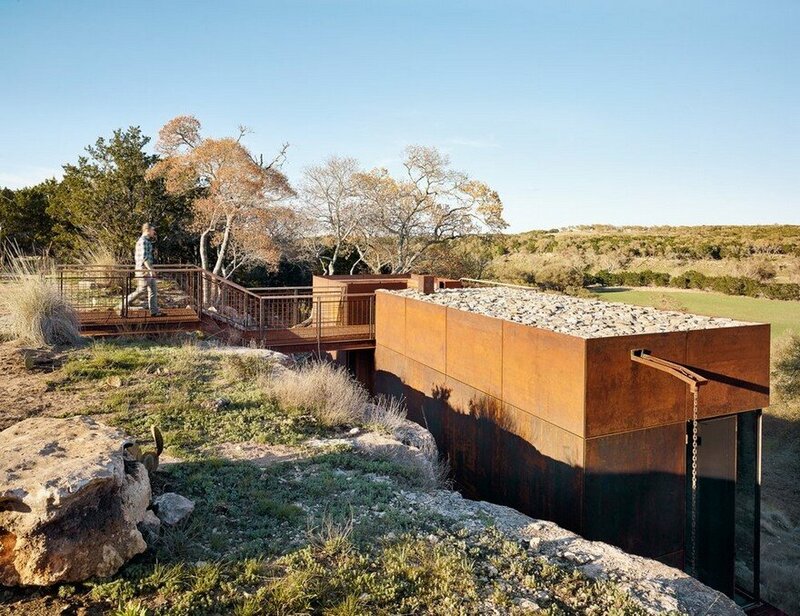 Clear Rock Ranch Lookout is a raw steel hunting blind, writing studio, and observation deck that celebrates the stunning landscape and wildlife views. 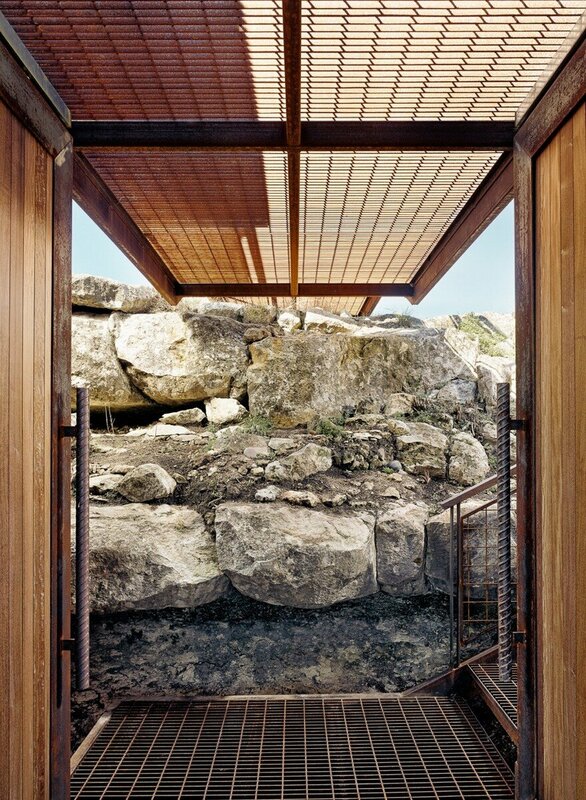 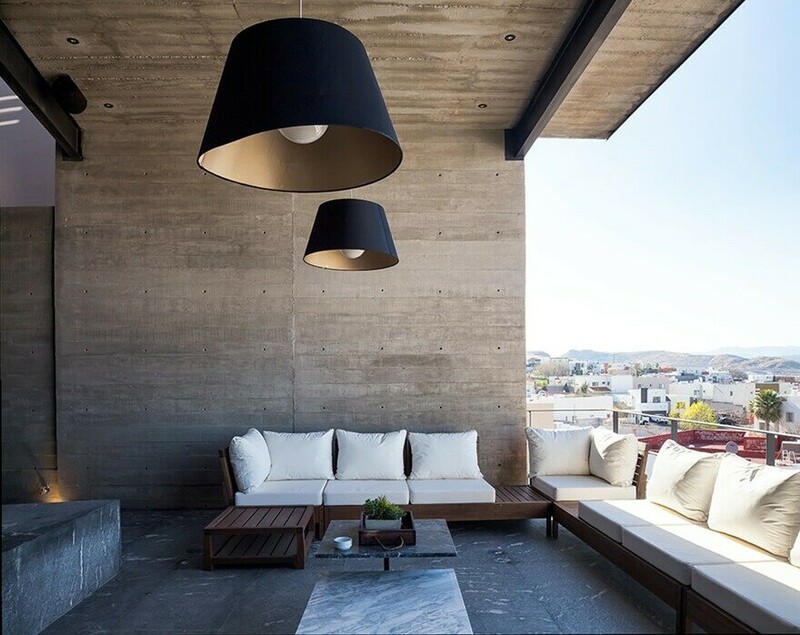 The 450sf building is nestled below a limestone cliff edge, and has to be “discovered” when approached from the top of the mesa. 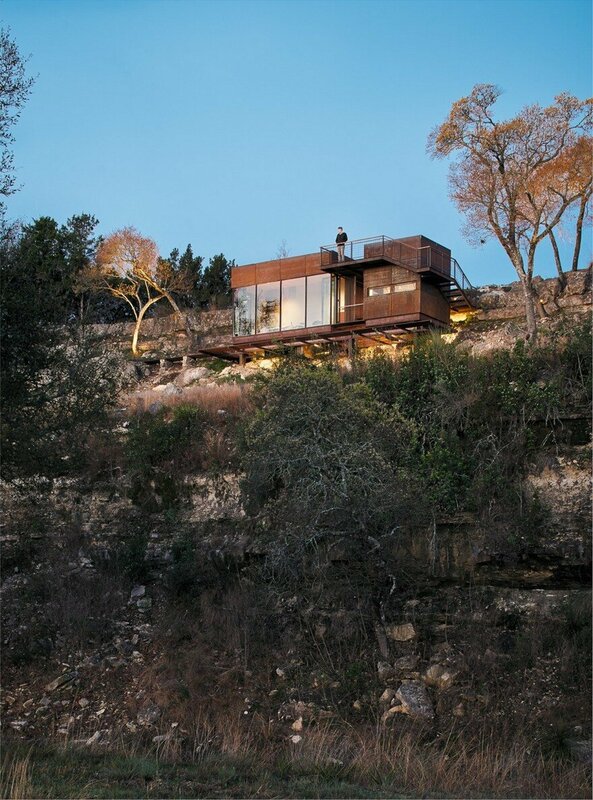 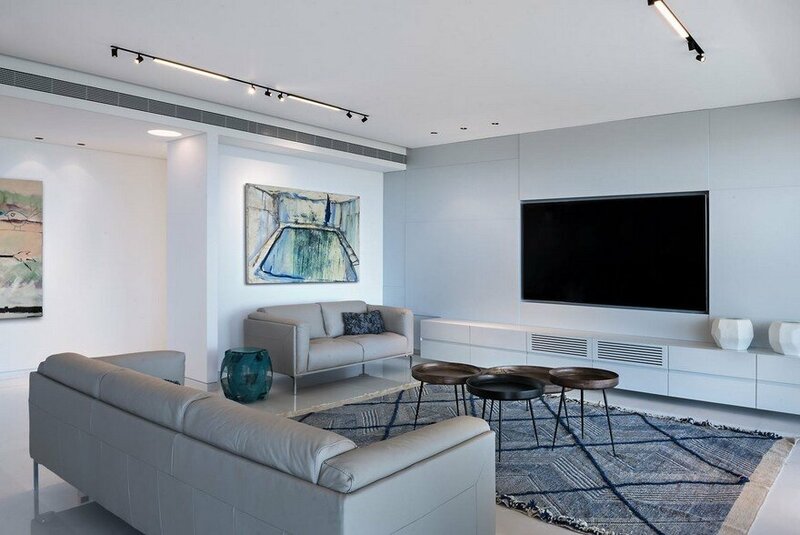 This gradual reveal of the building strengthens the unfolding landscape panorama made possible from the unique vantage provided by the structure.